There is no way to avoid it. You have to have car insurance. It’s the law. Just because you have to have a plan, doesn’t mean the policy has to break your bank. It’s important you have a quality auto insurance policy at an affordable rate. We know shopping for auto insurance can be a tricky business. There are dozens of different factors and additional riders you can add to your coverage. It can be overwhelming, but that’s why we are here to help. At Longevity Brokers, it’s our mission to ensure you have all of the insurance plans you need without breaking your bank every month. There are several factors which are going to impact how much you pay every month to insure your vehicle. You should know what the company looks at when calculating your rates to know if they are anyways you can save money. The obvious thing the insurance company is going to review when you apply for coverage is your driving record. The goal of the auto insurance company is to determine how much risk you are for car insurance. The riskier you are, the more you’re going to pay for your plan. During the application process, the company is going to pull your DMV records, and they are going to have a huge impact on how much you pay for your coverage. The safer you are as a driver, the more you can save. When you’re on your morning commute, slow down. IF you have a speeding ticket, it could cause your rates to go up by 30% or more. If you have a lot of violations or accidents on your driving record, there is a chance you can get rejected for coverage. There are a lot of companies on the market which don’t get high-risk applicants insurance coverage. Sure, it seems a little unfair to pay higher premiums because of other drivers, but insurance companies want to use all of the information available. If you want to save money on your insurance coverage, you need to find a safer vehicle with extra safety features, but more features don’t automatically equal lower rates. You probably know people are going to get lower insurance rates if you’re over 25, but that’s not always necessarily true. The younger a driver is, the more risk they are for auto insurance. They have fewer years of driving experience, and they are more prone to accidents. Once you reach 25, you’re probably going to get lower rates, especially if you haven’t had any accidents or violations. The rates you get once you hit 25 or 26 are going to stay about the same for most of your life. There is a chance you’re going to pay more as you get older. Depending on the company and your driving record, seniors could start to pay increased rates because of possible vision problems or slower reactions. You might be surprised to learn that married people pay less for their car insurance compared to single people. As odd as it is, married people are less likely to be car accidents, and there are several theories on why this might be true. The obvious reason is married people drive less than single people. The less you drive, the less chance there is you’re going to be in an accident. Another theory is married people tend to be more stable and take fewer risks when they are driving. They are less likely to speed, be convicted of DUI, and much more. The more you drive, the higher your chances are of being in a motor accident. If you work from home, or you have a very short commute to work, make sure you let your insurance company know, it could mean much lower insurance rates. Even if you already have an auto insurance plan, but you’ve changed jobs, or you don’t drive as much, then you can get your rates updated. Not only does how much you drive impact your rates but where you drive. If you used to work in the middle of a city, but now you work in a rural area, then you can save money. 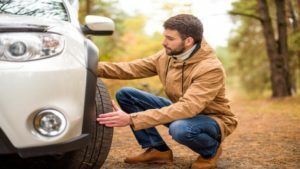 Every auto insurance company is different, and all of them have different rating systems and ways they calculate risk, which means the rates you get could vary wildly depending on who you contact. It’s vital you contact dozens of companies before you choose the best one for you. Instead of spending hours and hours calling various companies in the Denver, Colorado area, let one of our independent insurance agents do all of the hard work for you. We work with all of the best companies in the Denver area, and we can bring a personalized set of rates directly to you. We have years of experience working with all kinds of applicants.